The Hartford real estate market continues to endure rough times in 2016, as home prices, appreciation rates, and unemployment rates remain uncertain. The median home price for Hartford real estate was $236,900 during the second quarter, compared to the national average of $239,167. One-year appreciation rates were a humbling 3.2 percent as opposed to the rest of country at 4.9 percent. Although price growth for the Hartford real estate market has slowed, prices are surprisingly up from a year ago, and the projected outlook for the area appears to be improving. Homes purchased in the Hartford, CT housing market one year ago have appreciated, on average, by $11,189. The national average was $14,963 over the same period. Homes purchased in the Hartford, CT housing market three years ago have appreciated, on average, by $15,021. The national average was $46,878 over the same period. Homes purchased in the Hartford, CT housing market five years ago have appreciated, on average, by $18,749. The national average was $82,353 over the same period. Homes purchased in the Hartford, CT housing market seven years ago have appreciated, on average, by $28,511. The national average was $77,054 over the same period. Homes purchased in the Hartford, CT housing market nine years ago have appreciated, on average, by $2,787. The national average was $31,126 over the same period. In terms of Hartford real estate and appreciation rates, the good news is price appreciation and principle payments in the past three years have boosted total equity growth since the recession The bad news, however, is rates are way below the national average. The five-year mark reveals the biggest price difference, as total equity gains in Q2 was $18,749 for Hartford real estate while the national average soared to $82,353. 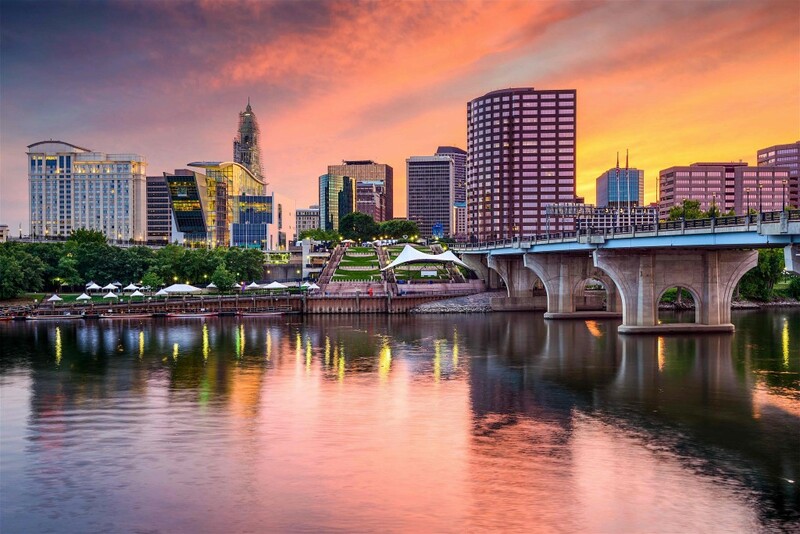 Despite disappointing equity gains, the Hartford real estate market is quickly becoming a haven for investor activity which should continue for the next couple years. As of July 2016, there are currently 634 properties in the Hartford area in some stage of foreclosure. According to RealtyTrac, the number of Hartford foreclosures in the month of July was 17 percent higher than the previous month and 24 percent higher than the same period in 2015. Additionally, the number of REO properties in Hartford fell 12.5 percent from the previous month and 50.0 percent from the same time last year. That said, the Hartford real estate market is poised to see an increase in investments. Although the Hartford real estate market is significantly below the national average in terms of appreciation and employment rates, home affordability for the Hartford housing market remains one of the best. Hartford homeowners pay 8.5 percent of their income to mortgage payments during the second quarter of 2016, while the national average paid 15.8 percent. In fact, the monthly mortgage payment to income ratio in Q2 was better than Hartford’s historical average of 12.7 percent. That said, the Hartford housing market continues to be one of the more affordable in the nation. Another aspect to consider for Hartford real estate investors is the local economy. The unemployment situation is worse than the national average and continues to hinder confidence. The current unemployment rate in Hartford is 6.1 percent, compared to the national average of 4.9 percent, while the one-year job growth rate was 0.7 percent, compared to the rest of the country at 1.9 percent. Unfortunately, in comparison to one year ago, the unemployment in Hartford has grown 0.5 percent, compared to the national average which decreased 0.4 percent. One component that could impact Hartford real estate investing in the second-half of 2016 and beyond is new housing construction. The current level of construction is 8.0 percent above the long-term average, while single-family housing permit grew at a rate of 18.7 percent during Q1, compared to the national average of 10.6 percent. Construction for Hartford real estate continues to be on the rise, suggesting the local inventory has stabilized. Moving forward, the Hartford real estate market will remain under the radar as price growth in the second-half of 2016 is expected to be far less than the national average. The National Association of Realtors (NAR) forecasts weaker price growth in Connecticut than in the U.S. in the next 12 months, with price expectations for Connecticut real estate currently at 1.6 percent, compared to the national average of 2.9 percent. The Hartford real estate market appears to be developing into an investor’s market, which should bode well for Hartford real estate investors in second-half of 2016 and beyond.